Can I Present the Same Deck or List to Different Groups? Yes! 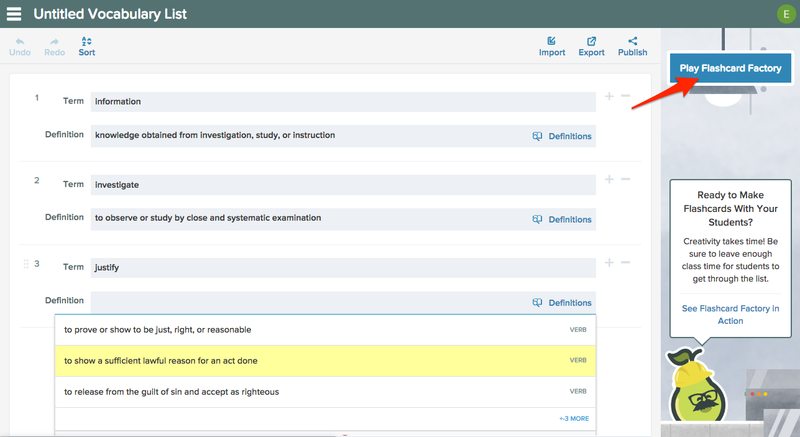 You can present any Deck or Vocabulary List an unlimited number of times to any group. 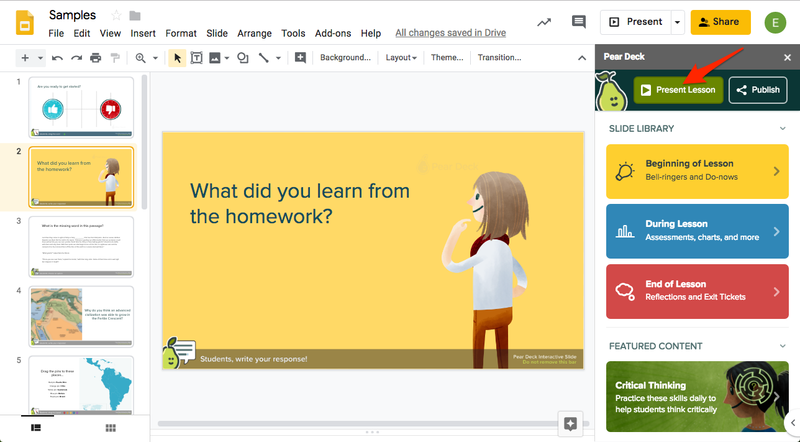 Present again from the Pear Deck for Google Slides Add-on. Just open your file and click Present Lesson to start a new Session. 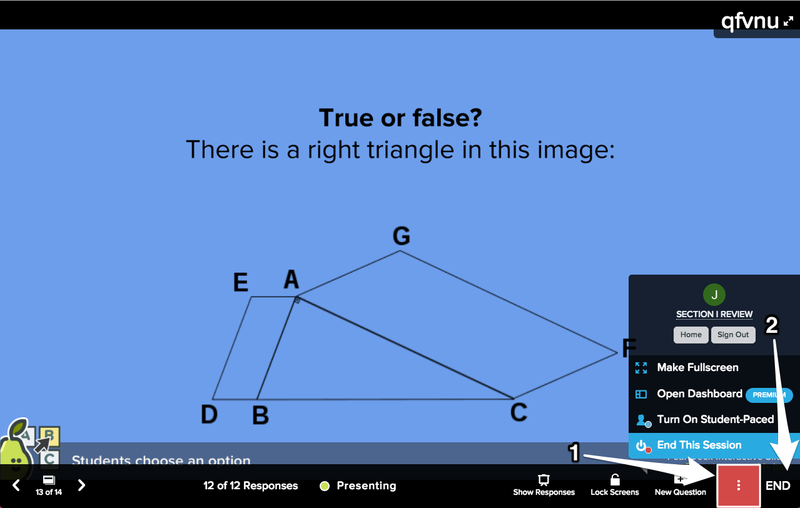 Present again from Pear Deck Home. Click on the Deck title to open the Deck menu. Then click Start Presenting to start a new Session. Present again from the Vocabulary editor. Click on the List title to open it in the editor, then click Play Flashcard Factory to start a new Flashcard Factory game. When you're done presenting a List, simply close the browser window. When you are done presenting a Deck, click the END button. Or, click the More Actions (3-dot) button in the right-hand corner of the screen and select End This Session. Now you can name this Session. A Session is a single presentation of a deck that contains the student responses you collected. Like Decks, Sessions are saved automatically - but they're easier to find if you name them. All Sessions are saved automatically in your Pear Deck Home. Those that are more than 30 days old will be found in the Archived section.